Gary Neville has reiterated his praise for Mauricio Pochettino, saying he has done a "brilliant job" in keeping Tottenham challenging at the top of the Premier League this season. After failing to make any signings in the summer, Spurs have had a tricky start to the season as they have had to deal with delays over moving to their new stadium. 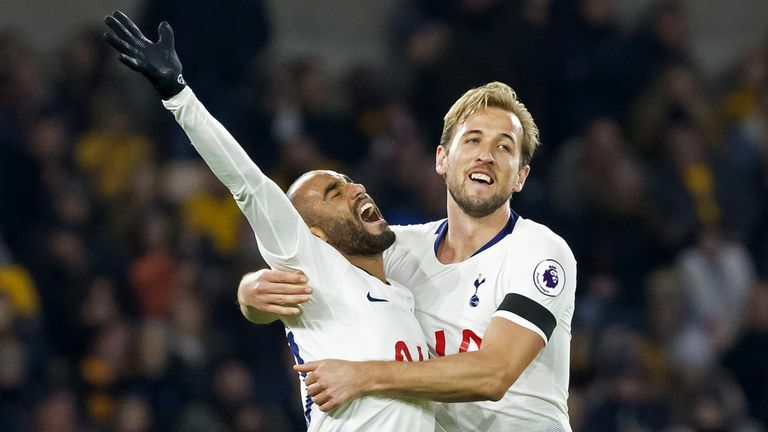 They have also had injuries to Christian Eriksen and Dele Alli, but they are still fourth in the league and within touching distance of the teams ahead of them. Speaking after Spurs' 3-2 win over Wolves on Saturday, former Manchester United defender Neville said on the Gary Neville podcast that manager Pochettino has done a "brilliant job". "After they had all those players going far at the World Cup, the stadium issues, then they didn't sign any players, you expect there would be some pain at the start of the season, but what they are doing is brilliant," he said. "Mauricio Pochettino has to juggle balls and his skills as a manager are being tested to the fullest, so he is being challenged, but he is coming through with flying colours. "I love him as a coach, he is one of my favourite coaches in world football. Every time I see a Tottenham game I enjoy it, they try to play the right way, and he has done a brilliant job. "They are sustaining top-four finishes and performing well game-in, game-out, season-in, season-out, and at the highest level I have seen over 30 years. "Tottenham haven't regressed; Manchester City and Liverpool are playing at a different level to two or three years ago when Mauricio Pochettino started." Neville also thinks Spurs will do everything they can to keep hold of Pochettino and striker Harry Kane as they move into their new stadium. "Harry Kane and Mauricio Pochettino are the two most important people to Tottenham in terms of the transition into a new stadium," he said. "It will not be easy to get them away from [chairman] Daniel Levy, he will know how important they are to the club over the next two years. They are the future for where Tottenham want to be. They need Kane and Pochettino to stay because the rest will stand around that."